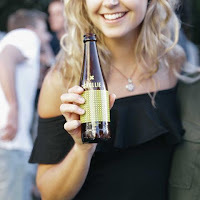 Liquor Cider - Sxollie Cider has started a “cider revolution” according to the owners of the Sxollie Cider brewery. They support this contention by emphasizing that cider sales is the fastest growing segment in the craft brewing sector, even passing the growth of craft beer. They aim to further the “cider revolution” by educating the public about craft cider. The name “Sxollie” was chosen to arouse the market’s interest, as it resonates with almost every person – young and old. The owners stated that they “have an amazing product that we can be proud of; a product that celebrates Africa through its raw materials, its flavour profiles, and its exceptional branding." More on the “cider revolution” may be found HERE.